"Post disengagement from the face-off in 2017, troops of both sides have redeployed themselves away from their respective positions at the face-off site. The strength of both sides have been reduced," she said. Indian and Chinese troops have "redeployed" themselves away from the face-off site in Doklam, and China has undertaken construction of helipads, sentry posts and trenches for its army personnel there, Defence Minister Nirmala Sitharaman said today. "Post disengagement from the face-off in 2017, troops of both sides have redeployed themselves away from their respective positions at the face-off site. The strength of both sides have been reduced," she said replying to a question on the issue in Lok Sabha. Last week, junior Defence Minister Subhash Bhamre had said that the situation along India's border with China is "sensitive" and it has the potential to escalate. Sitharaman's reply today came in response to a question on whether satellite images have revealed that China has constructed seven helipads in Doklam besides deploying tanks and missiles in the area. On whether India has taken up the matter with China, she said issues relating to the border are regularly taken up with the Chinese side through diplomatic channels and at Border Personnel Meetings, flag meetings and meetings of Working Mechanism for Consultation and Coordination on India-China Border Affairs. In January, Army Chief Gen. Bipin Rawat had said the time had come for India to shift its focus from borders with Pakistan to the frontier with China, indicating the seriousness of the situation. 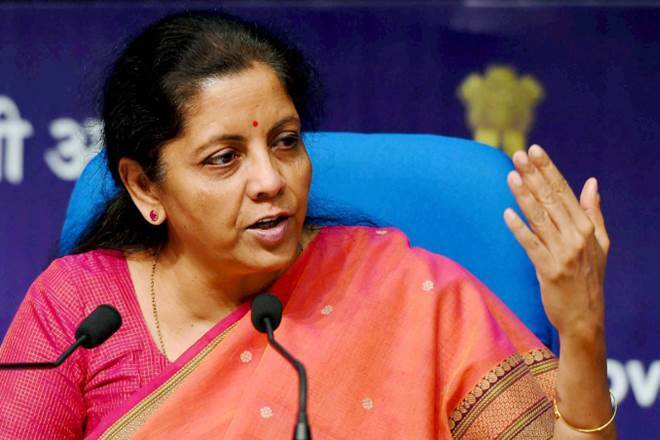 To a separate question on a Pentagon report which said China was setting up a military base in Pakistan, Sitharaman said the government keeps a constant watch on developments having a bearing on India's security and takes measures to safeguard it. "Government is aware of China's stated objective of becoming a 'maritime power'. As part of this strategy, China is developing ports and other infrastructure facilities in the littoral countries in the Indian Ocean Region, including in the vicinity of India's maritime boundary," she said.